My favourite thing about gaming with my D&D group is making and sharing treats. In the past I've made some themed D20 dice cookies, along with an variety of other baking experiments that were thoroughly enjoyed while we battled monsters and solved mysteries during various campaigns. 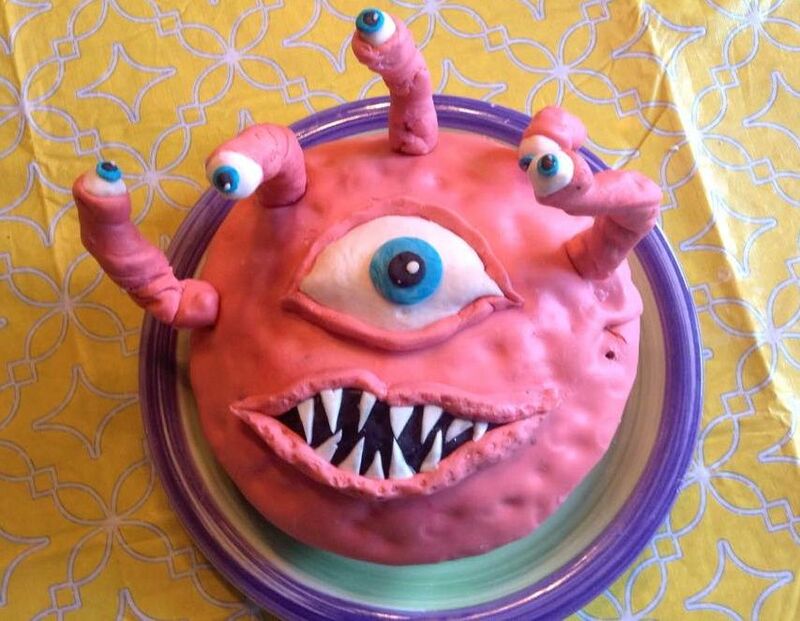 I am not the only baker in our group, and recently our friend Colleen made a Beholder monster cake for her husband's birthday. Nothing says happy birthday quite like a D&D monster. Well now that is completely different!